Shine, Mission Avenue Elementary PTA, and New City Church are working in collaboration with the Mission Avenue Elementary School Administration to assist school families in need during the holiday season. Christmas Gift Mart is an event where select Mission Avenue parents are invited to shop and buy gifts while their children participate in holiday games and activities. It is a special time where memories are made and the holiday spirit is shared. All funds raised go back to the school in order to buy clothing and other needed items for the school’s clothing bank. We are asking community members to donate new, unwrapped, $10 - $20 children’s toys, suitable for ages 5-11. Please bring your gift donations by Sunday, December 10. If you have any questions, please contact shine@newcityabq.org. You can also volunteer to serve at the Gift Mart on Saturday, December 16, from 10am-noon. Grab a stack of bags provided. Identify five people in your neighborhood, office, or family. Early in the week, please fill out the blanks at the bottom of the flier with: day, pick up time, your name and phone number. 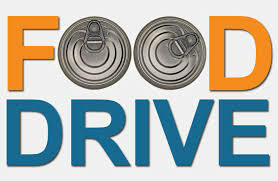 If they would like to participate in the food drive, they will leave their non-perishable items in the grocery bag outside their front door to be picked up on the day you determine. After collecting the grocery bags, please bring the donated food items to New City by Sunday, November 12. Do not put anything on or in your neighbor’s mailbox. If your neighbor is out of town or a house is vacant, please do not leave the bag on their door. Participating in this food drive can be a fun way to meet your neighbors and co-workers. This is a great opportunity to create community as you help families at Mission Ave have a Happy Thanksgiving. Do you remember your favorite book as a child? Dr Seuss said it best "The more that you read, the more things you will know, the more that you learn, the more places you'll go!" Research shows that kids in generational poverty do not have the same opportunities as other students to interact with books at home. Our school, Mission Ave, has asked us to partner with them in providing books for our students. This is a great opportunity for you to make a difference and get plugged in to the mission of Shine at Mission Ave. Donated books can be new or gently used, and should be for elementary-aged students. You may drop off books in the boxes placed in the atrium over the next few weeks. We will make sure they get delivered to the kiddos at Mission Avenue Elementary. We have worked hard over the last 4 years creating a beautiful relationship with the staff and students at Mission Ave. Elementary. We’ve created a mentor program, we’ve supplied backpacks, clothing, food, gifts. We’ve performed a memorial service and prayed with teachers. I’d like to believe we’ve brought a little heaven on Earth to that school. I know that we have “Shined” a light into the dark hopeless places that existed there. But there is still so much to be done. And now, there are the sojourners. They call them refugees, and there are 20 of them. Innocent children with faces and names, and giggles and smiles and tears. Some with a fear that you can feel, even though you don’t know what they’re saying. And New City has been there. Providing backpacks and supplies, food, clothes, shoes, and loving support the best we can. But it is time for more. “You shall love the Lord your God with all your heart and with all your soul and with all your mind. This is the great and first commandment” (Matthew 22:37–38). Loving God implies loving the things he loves. Deuteronomy 10:18 tells us that God “executes justice for the fatherless and the widow and loves the sojourner, giving him food and clothing.” It is no surprise, then, that the very next verse is “Love the sojourner, therefore, for you were sojourners in the land of Egypt” (Deuteronomy 10:19). We were once sojourners and yet we still are. We’re in a land where we don’t belong. Don’t you sense that? We belong to another place. This home is a temporary placement for us and we are outsiders. We are like them. I have tried to wrap my mind around the atrocities that have driven these families from their homes. I’ve tried to imagine leaving everything behind, taking my children and walking miles and miles to what I hope might be safety. I’ve imagined consoling my children’s fears. And then flying half across the world to a safer place and hoping for a better life. This safety though doesn’t always provide needed relief, if you imagine life now through the eyes of a child. I’ve been dropped off at a school that is so incredibly different from everything I’ve ever known. The only person I know is my brother and they’ve taken him far away to another class. I don’t speak their language and they don’t speak mine. There are no translators and no one looks like me. I struggle to explain that I need the bathroom or that I’m scared. I don’t understand one thing anyone is saying. I must eat weird food that I don’t recognize. I don’t know what is happening here day after long day. I just want to go home. But there are these volunteers here who do not speak Arabic or Swahili but they are kind and warm and that feels familiar. There is one thing that becomes apparent very quickly as you serve the sojourners. We all communicate love. And it brings a sweet relief to the face of a fearful child, like nothing I’ve ever seen. We have the capacity to be the people of light. The light is in us after all. We have the capacity to share the love of Jesus just as we have learned to do all along at this school- without words. Just love, no agenda, not some kind of bait for a gospel presentation. Just Jesus in his truest, simplest form- LOVE. Church, we need you right now at Mission Ave. We have created a program for the refugee children at the school that gives them a break from the classroom. We are attempting to teach them basic English, we’re giving them a chance to spend time with their siblings and other children who speak their language. We are being love. We need many more volunteers to continue and expand this program. The school and our volunteers are overwhelmed with the number that has now risen to 20 beautiful children. Unfortunately, APS does not have the needed resources of translators and tutors that can serve these children well. The children have been dropped into a mainstream classroom and there is no support for the child or the teacher. What we are finding is that by the afternoon, they need a break and so that is what we seek to give them- a break and most importantly love. Please consider becoming a volunteer at the school one afternoon a week and serving in this program. The need is big, but our God is bigger. Shine, Mission Avenue Elementary PTA, New City Church and other local organizations are working in collaboration with the Mission Avenue Elementary School Administration to assist school families in need during the holiday season. Christmas Gift Mart is an event where select Mission Avenue parents are invited to shop and buy gifts (at $2 each) while their children participate in holiday games and activities. It is a special time where dinner is served, memories are made and the holiday spirit is shared. We are asking community members to donate new, unwrapped, $10 - $20 children’s toys, suitable for ages 5-11. Please bring your gift donations through December 11. If you have any questions, please contact shine@newcityabq.org. Our Mission Avenue Elementary School family has suffered a loss and needs our prayers. Yesterday a custodian who had been at the school for many, many years passed away. He was very close to many of the teachers and staff, and dearly loved by the kids. They are heartbroken and need our prayers. Please pray that they will find peace and rest in Jesus. Pray that God's name will be glorified through this. They are reaching out to their New City family for support. Our annual school supply drive for Mission Avenue Elementary is here! Grab a few bags to fill and invite your neighbors and friends to participate. Please return the filled bags no later than Sunday, August 7. Email shine@newcityabq.org to volunteer or for more information.